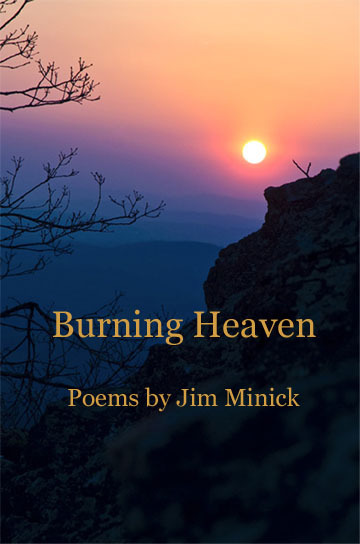 I’m pleased to learn that my friend Jim Minick has had a most productive visitation of the Muse, most recently evidenced by the release of his second book of poetry this year, Burning Heaven. I was priviledged some months back to read the manuscript of this very satisfying book of accessible poetry (there is much of the other kind out there) towards the goal of helping Jim find from my image archives a suitable cover that would best represent the title. The shot is from Buffalo Mountain. By all means, stop by Wind Publications site and read the brief reviews of Burning Heaven. Then get a copy for yourself or as a gift for a friend who cherishes the feel and energy of language.